So it’s no surprise that there is finally an official version of this fictional book published for fans. Although it may be surprising to some that it took so long. You can probably thank the new Ghostbusters movie for that, although the events and ghosts of that film are not referenced in the book. 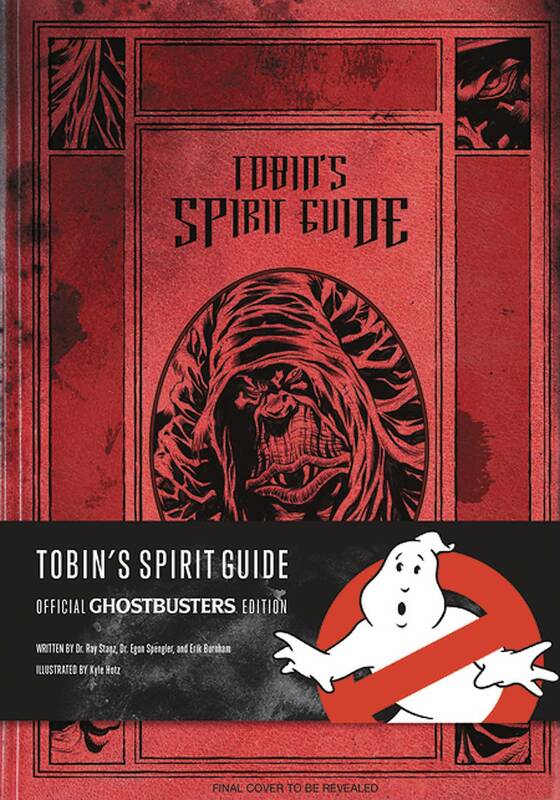 Tobin’s Spirit Guide (the real one) was published by Insight Editions and was written by Erik Burnham, who has written a number of Ghostbusters comics for IDW. I haven’t read any of his comic book work, but I’m guessing he’s used some of it to “update” this version of Tobin’s Spirit Guide, which is referred to as an “updated and condensed” version of the original book mentioned in the 1984 film. The “co-authors” of the book are Dr. Ray Stanz and Dr. Egon Spengler. Which makes sense. Tobin’s Spirit Guide (as I mentioned above) was originally thought of as containing information on every spook, specter, and ghost you could think of (and a few more besides). Here, however, it’s mainly a “greatest hits” book examining (though not in a lot of detail) many of the ghosts we’ve seen in the first two movies, The Real Ghostbusters animated show and (I think) in the IDW comics. Now, there are some explanations given for more generic ghosts (poltergeists, possessed furniture/appliances, animal spirits) but for Ghostbusters fans the more interesting entries deal with characters/ghosts like Slimer, Gozer (and his minions and different manifestations), Vigo the Carpathian and others we’ve seen in the films. Even the Taxicab driver from the first film and the ghost jogger from the second film are given entries. 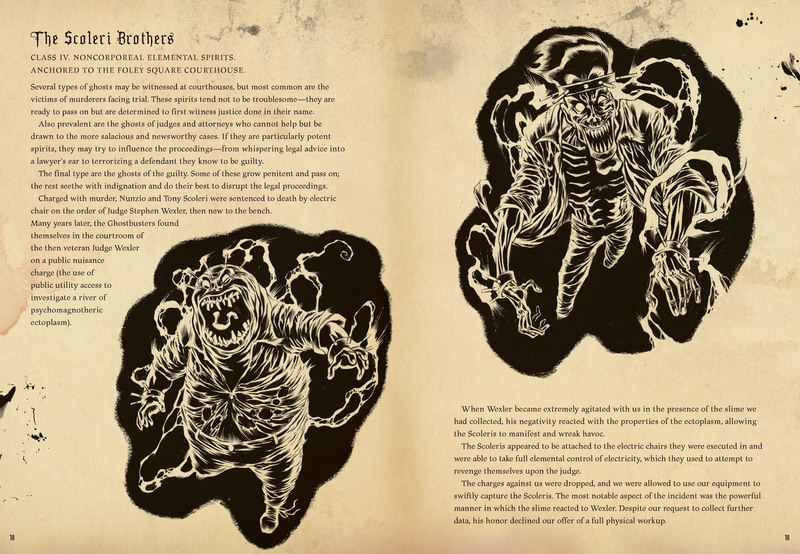 There are also pages dedicated to some ghosts from the 2009 Ghostbusters video game (the Fisherman and the Spider Witch). Quite a few ghosts from The Real Ghostbusters have also made it in the book. The Bogeyman, The Sandman, Killerwatt, Wat (from the episode “Mrs. Rogers Neighborhood”) and Samhain are all explored. A lot of the other entries are (I’m guessing) from either the IDW series (given some of the previous ghosts I’ve mentioned have passages referring to encounters with the Ghostbusters that I’m not familiar with) or just supernatural lore in general. 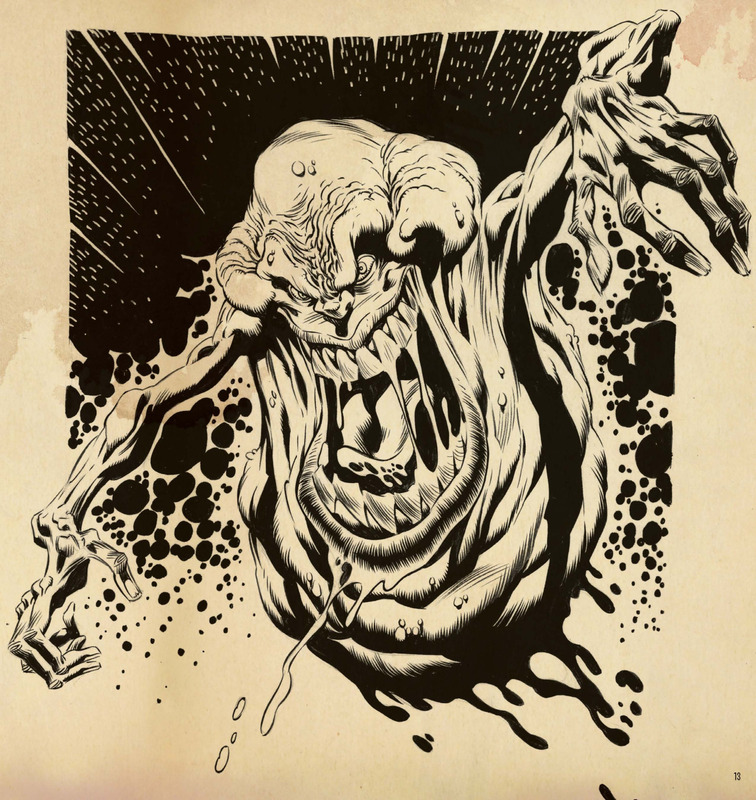 Every entry has an accompanying illustration by artist Kyle Holtz who makes the ghosts look spooky and scary (even Slimer!) and makes the book feel like it really is a volume of forbidden supernatural knowledge. Overall, Tobin’s Spirit Guide is an interesting read and a must-have for fans of the Ghostbusters franchise. It isn’t all-inclusive. There are a lot of ghosts/paranormal phenomena not mentioned, but considering this is the “updated and condensed” version it makes sense that it mainly focuses on ghosts/characters from the Ghostbusters universe. Either way, it’s a great piece of merchandise for long-time Ghostbusters fans and I’m glad to finally be able to say that I have a copy of Tobin’s Spirit Guide sitting on my bookshelf. Craig MacDonald lives in Newfoundland, Canada but dreams of living on a space station, preferably one populated by aliens. His interests include comic books (mostly DC superheroes), science-fiction TV shows (Farscape, Star Trek) and eating more fast food than any normal human should. His favorite horror franchises tend towards horror-comedy (Evil Dead, Ghostbusters, The Monster Squad, Todd and the Book of Pure Evil). He has a paralyzing fear of heights, clowns and beautiful women who somehow magically rob him of intelligent thought and the ability to speak. He is an engineer in real life but his dream is to one day be a Ghostbuster/superhero/Captain of the U.S.S. Enterprise.